It’s no secret that I’m a big food lover. I might be a little picky when it comes to food, but that’s because I know what I like. I’m always looking forward to find the best restaurants whilst I travel. I can easily wander for hours to find the perfect place where they serve top notch food with a great ambiance. I’m only interested in good quality food and preferred not to expensive, but I can also easily order champagne with oysters in a star restaurant. But how do you find these quality food treasures? That’s easy, just ask the locals where they love to eat! That’s exactly what I did in Ibiza. I asked the owner of my villa to share some of her best tips with me – and these are one million dollar tips I tell you! Located between Santa Gertrudis and San Miguel km 9’9, you will find this restored 400-year-old finca, restaurant Aubergine. They serve unbelievable nice organic food, freshly picked from the garden in a dreamy space with a cozy and relaxing terrace. 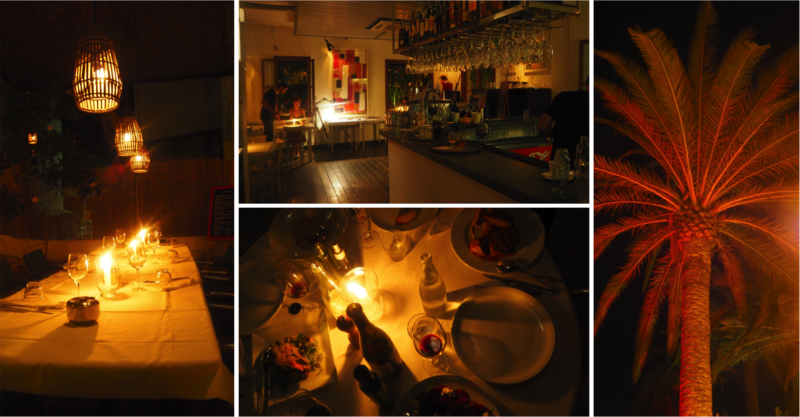 Incredible atmosphere and great menu – which constantly change. 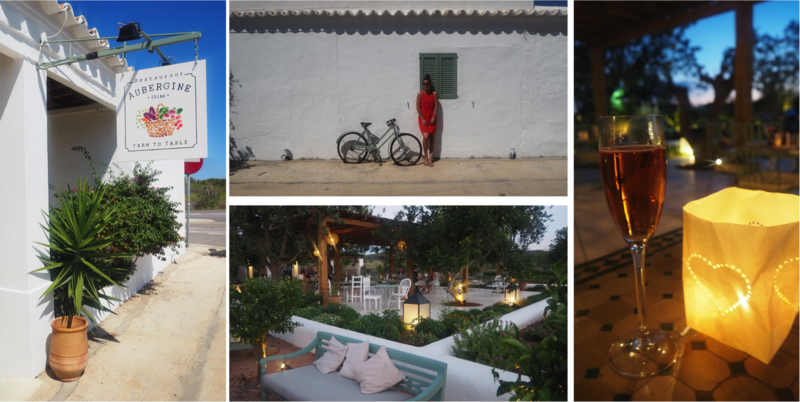 I wanted to order everything in the menu, eventually I ordered the Veggie Dip Platter with beetroot, baba ganoush, Ibizan tapenade & with quinoa salad and a bottle of Cava. Good choice! 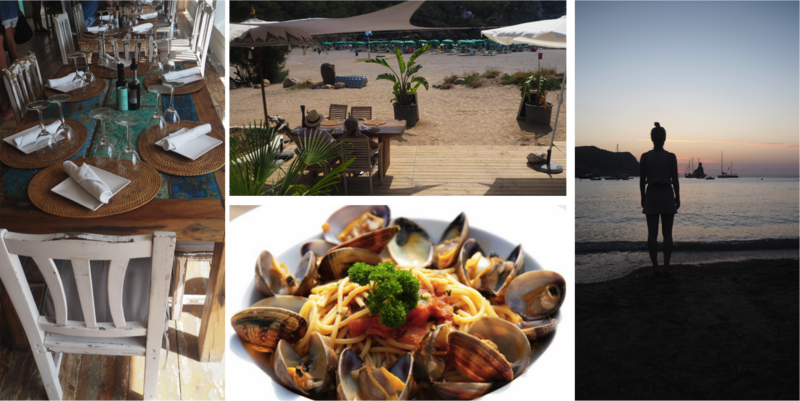 Situated on the north of Ibiza you will find this Mediterranean restaurant, Elements Ibiza, on the south side of Benirras. There’s always a reason to head to Elements, due to the several themed events during the week and their dishes with fresh fish. Elements has a very special menu, in the shape of a newspaper, where you will find some very nice dishes and it also keeps you up to date on what’s going on in Ibiza! Elements Ibiza offers a range of amazing experiences; you can take a wonderful massage or find the perfect summer outfit in their boutique. Next to it you will have a beautiful view with a breathtaking sunset! Located in the quaint village of Santa Gertrudis, you will find this very popular restaurant Macao. The favorite haunt of many celebs and locals, a place where you will feel at home right away. Immediately when you enter the garden you will never want to leave again; Cozy, vibrant, laid-back, great ambiance with twinkling lights in the trees – just perfect! They serve exquisite home-made Italian food. We shared some starters and everything was so tasteful. I’ve heard that this restaurants serves probably the best Italian food of this islands and I think they were all right. 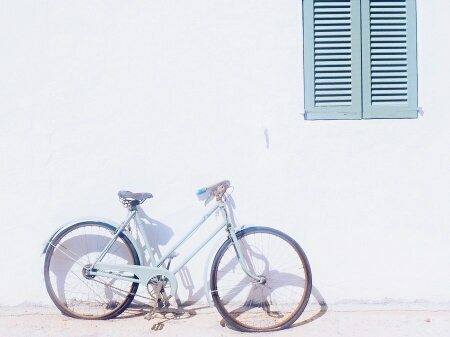 If you like ice cream you should visit Viccio, they have the best ice creams of Ibiza. They use local natural organic products, and the best ingredients from the globe. You can taste their love and passion for what they produce! Next to ice creams they also have great coffees and crepes, salty and sweet. 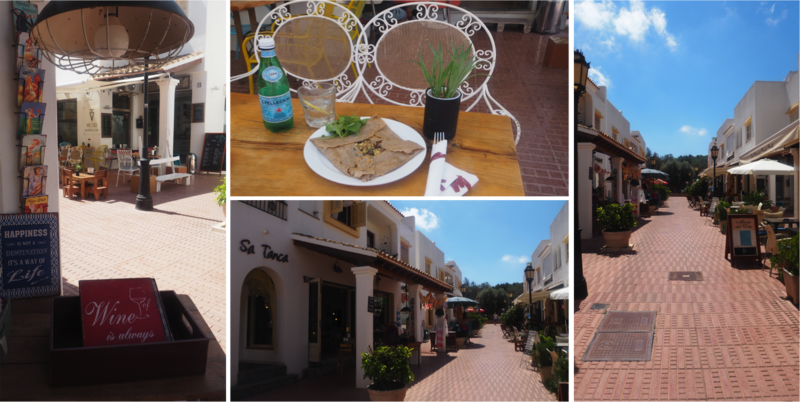 Tip » try the crepe with goat cheese, figs, nuts with salad. I had dinner at this restaurant two years ago and I really enjoyed it. Since we spent our last evening in Ibiza city I was thinking of having dinner here again. We did and no regrets! 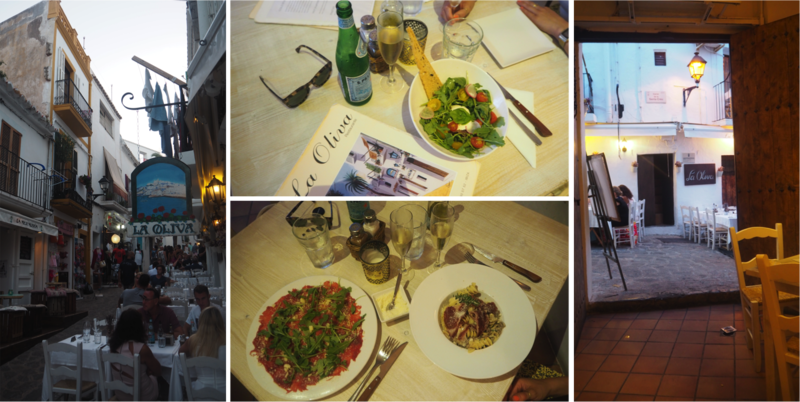 At the heart of the old town of Ibiza on the main square of the UNESCO World Heritage Listed Site, you will find this lovely restaurant La Oliva. A romantic intimate restaurant where they serve fresh and healthy food with traditional Mediterranean dishes with Asian touches. The best seats are outside where you will find their amazing terrace with wooden chairs and tables with white linen. Try to book ahead since the terrace is always fully booked. No worries if it didn’t worked out since they also have three very nice indoor dining rooms. Compliment your dinner with the La Oliva cocktail – rosemary, gin, rose wine and honey – and you will fall in love like I did two years ago. Tip » Try the Beef carpaccio topped with parmiggiano, olive oil & rucola & the burrata salad with tomatoes and olive oil. La Oliva will be celebrating its 30th anniversary in 2016! Enjoy these amazing 5 restaurants in Ibiza!